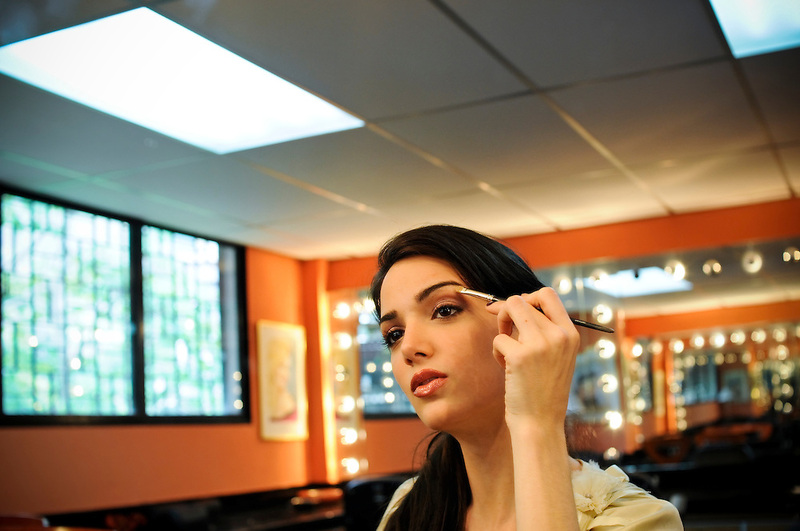 Adriana Vasini Sanchez, 22, Miss World Venezuela 2009 and recently crowned Miss Hispanoamerica (Hispanic America Queen) 2009 practices applying make-up with her beauty professors at the La Quinta Miss Venezuela School in Caracas, Venezuela. The school, directed by Osmel Sousa, is famed for producing winning beauty queens. In 2009 Venezuela set a record by winning consecutive Miss Universe crowns. Beauty queens are highly regarded in the South American country, and a source of incredible national pride.